Backing up your iPhoto library is one of the most important things you need to do in order to avoid losing precious memories. You never know when your hard drive can get corrupt or when a disaster can strike. Hence, it is always a good idea to have backups. Sometimes, having a single backup isn’t enough. For instance, you may lose a backup on the external hard drive, but if that was the only backup you had, it’s not useful. So create multiple backups and make sure you’re never going to lose those important memories. Here in this article, we’ll show you how to create backups of the iPhoto library using different methods, so you can have multiple backups. Time Machine is great for backup and if you’re using it, you must know that iPhoto library will be backed up every time your Time Machine is run. Although Time Machine is useful, there is one downside to it. The way Time Machine works is it deletes old files to make room for new ones. But with photos, that may not be the best thing. You will obviously want to keep old photos and hence, it is important that you also backup iPhoto library using other methods along with Time Machine. 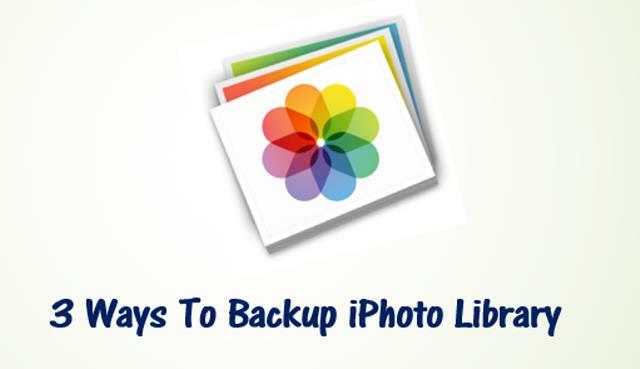 You can manually backup images from the iPhoto library to an external hard drive or a USB flash drive. To do this, follow the steps listed below. Note: The most important thing to note is that you must repeat this process every time you have new photos in your library. An easy automated way to back up your iPhoto library is to use third party apps such as Carbon Copy Cloner that have an archive option. Archive in this context means the ability to keep images on the backup drive even if those images are deleted from your system. The archive feature along with the ability to schedule backups makes the app a great backup system. But no matter how careful, sometimes you may run into situations of corruption or data loss. Whether human errors or other reasons, these things can happen at times. In such cases, data recovery tools such as Remo Recover are your best option. The software has the ability to recover files due to corruption or damage to the drive. A myriad of photo formats such as JPEG, PNG, BMP, PSD, RAW images etc. can be recovered. In addition to images, other files like audio and video can also be recovered. For a detailed guide on the process of recover, refer deleted iPhoto library recovery. You can use also Remo Recover to recover data from USB flash drives, SD cards and other storage devices in addition to hard drives. Download a trial version and try the product for free!